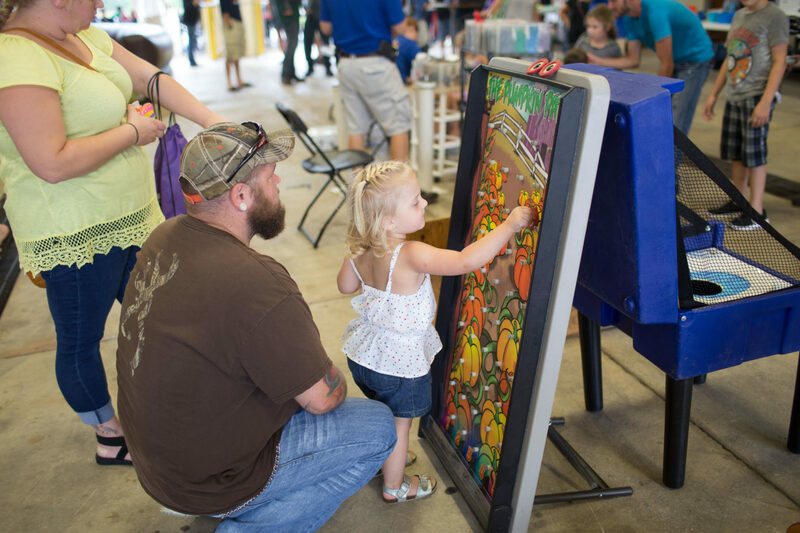 Whether you have a fall harvest theme, halloween theme or no theme at all, this colorful plinko game is a great classic carnival game. 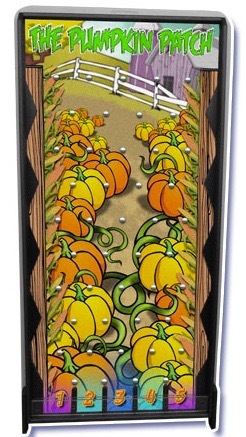 Players will drop the pumpkin-faced pucks in the top and try attempt to land in the highest number slot at the bottom. There is also room to stick prizes in the bottom slots so they can win what they land on.